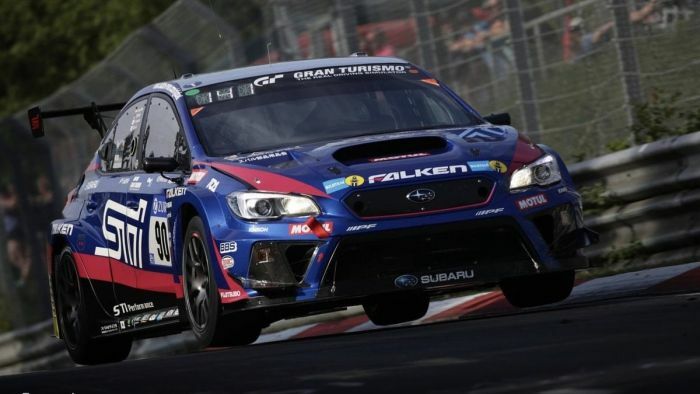 Nurburgring 24-Hour Countdown; Can Subaru WRX STI Six-peat? The 2019 Subaru WRX STI takes on the Green Hell and will attempt its 6th Nurburgring 24-hour class title. Why does Subaru run the WRX STI in the grueling Nurburgring 24-hour race? Because they want to prove the STI is better than the leading European manufacturer’s cars. It’s a battle to see who’s car and drivers can stand up to the Green Hell and survive, and maybe win. Subaru takes this extreme race seriously and will attempt to win two years in-a-row and add a 6th class title. Subaru Corporation and its motorsports partner, Subaru Tecnica International (STI), will run the 2019 WRX STI in the 47th Nurburgring 24-Hour Race coming June 20-23. The grueling race is held at the Nurburgring in the Eifel region of Rhineland-Palatinate, Germany. This is Subaru’s 12th Nurburgring 24-Hour Race challenge since 2008. Subaru will compete in the newly-revamped 2019 Subaru WRX STI. Subaru has won the SP3T class (for sub-2 liter turbocharged vehicles) five times, in 2011, 2012, 2015, 2016 and 2018. The STI competes with leading European manufacturers like Audi (Audi TT), Volkswagen (VW Golf 7 TCR) and Opel (Opel Astra) again this year. The 2019 Subaru WRX STI NBR race car has new upgrades with optimized gear ratio, improved brake balance, overhauled aerodynamics, improved chassis geometry, the wheels are stiffer, and road holding performance has been improved. Subaru shoots for a second consecutive win in the class with the race car further improved from last year. Can the newly-upgraded 2019 Subaru WRX STI NBR win its 6th class title? The countdown is on. Stay tuned.